Healing is a journey within. Kristy Marie Massage offers individualized care for each of her clients. Kristy Marie, owner and massage therapist, draws from her vast toolbox from a myriad of modalities of which she has been studying and practicing for the past 15 years. She has training and certification in the following: myofascial release (1, 2, unwinding, fascial pelvis, cirvical throacic, rebounding and skill enhancement seminar, all with John Barnes), neuromuscular therapy (NMT), cranial sacral therapy, lomi lomi 1 & 2, pregnancy massage, reflexology, hot stone therapy, shiatsu, and swedish massage. Kristy Marie's massage space has been calleda healing temple. It is a safe sanctuary for people to come explore the restrictions that hold them back from living a pain-free lifestyle. 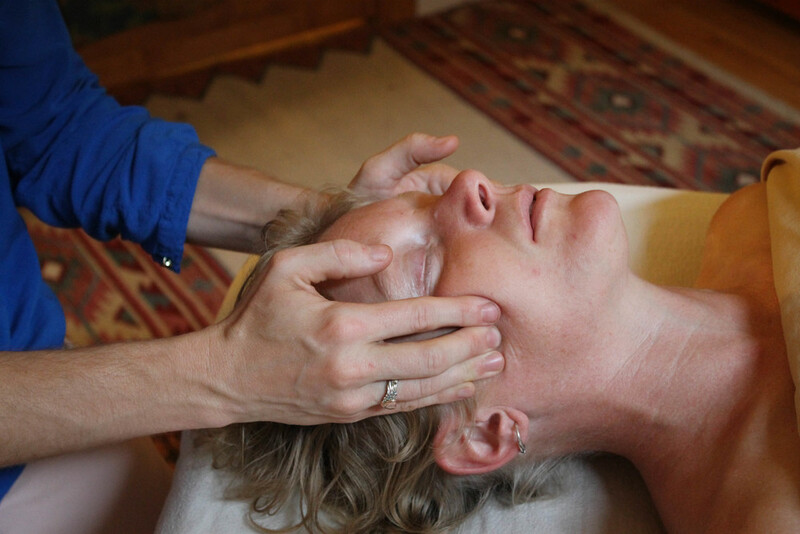 Kristy’s extensive study in Myofascial Release, a type of physical therapy which includes cranial sacral work, enables her to further each client’s process of healing by teaching self-help techniques to use between sessions. Kristy Marie’s approach involves thoroughly evaluating her clients’ needs during every visit, not just the initial interview. She places importance not only on where each person has been, but where they are right now in their healing journey -- it is the journey not the destination after all. Kristy Marie thinks of herself as a guide helping clients find their way while solving the mystery of their journeys. I had the honor of studying at the Maui School of Therapeutic Massage, graduating in 2004. This long massage lineage – fully embodied in a beautiful culture – was a fundamental core to my establishment as a massage therapist. My intuition is keen; over my years of practice I have learned to listen to the root cause of a person’s ability or inability to relax. I consider myself a guide in healing, to help bring others to a more relaxed state, in a safe space. Since 2012, I have studied with John Barnes in the Myofascial Release approach. I've taken myofascial 1 & 2, unwinding, fascial pelvis, cervical thoracic, rebounding and a week long skill enhancement seminar wherein I shadowed Barnes in his Pennsylvania clinic. The healing journey can be a complex one. Kristy holds space for authentic feeling. I relish opportunities to continually learn about the body, mind, and spirit and how they are connected. I have attended numerous sufi retreats around the world, learning about the self through music, meditation, surrender, contemplation, compassion, love, harmony and beauty. In the Fall of 2018 I graduated yoga teacher training (YTT) from the House of the Gathering Yoga School in Duluth MN. I had the honor to be a part of the first cohort obtaining a 200 hour YTT certificate. It was an exceptionally deep experience and I am so grateful for the opportunity. I am now offering one on one yoga sessions for beginners who are looking to get comfortable with yogic terms and basic understanding of poses and how to find confidence in themselves in their ability to meet themselves where they are. Every thing that I study brings more fascination and more wonder and above all, more appreciation for the body's infinite potential and capability. I have two beautiful children, Rowan Edward and Miirah Lena. We live in Duluth, Minnesota, and we love living here. The journey that has brought us all over this world, brings us back here through a long history of ancestry… going back some 150 years or more. Ever since Kristy was young she was fascinated with the body and its role in people's quality of life. Through her own healing process she feels that it is her service to the world to help as she has been helped and give back to the community. Receive healing by scheduling an appointment for yourself or a loved one. Kristy is available by appointment, which can be on short notice, Monday through Friday. THERE ARE DIFFERENT WAYS TO SCHEDULE AN APPOINTMENT: for same day availability or questions YOU CAN CALL/text 218-591-8304 TO DISCUSS WITH KRISTY or EMAIL HER. VISIT THE ONLINE SCHEDULER to schedule your APPOINTMENT directly. I am very pleased that my new location is handicap accessible! All the same, please call or email to explore the different options available to clients that have unique needs. It is considered an honor to help if possible. I currently provide service to a number of handicap clients through home visitations. Before your first appointment, please review the Client Bill of Rights. You will also find the intake questionnaire on the Online Scheduler which will inform Kristy on how to best serve you in massage therapy. Want to give back to your employees for all that they do for you? You can hire Kristy to bring her chair to your establishment and help them feel cared about. typically 10- 15 minute sessions are what people do with chair massage. The off site service charge is applicable @ $2o + $85 per hour + tax. Giving the gift of wellness is perfect for any occasion. Gift certificates can now be purchased directly on the online scheduler. they are print ready directly after purchase!!! you can also email the gift certificate to the recipient if you wish... for instant retrieval. click on the scheduler above on this page, directly under 'choose an appointment', is an option to view products/ packages, Many gift certificate options are there. Feel free to call if you have any questions. If you prefer me to mail one to you we can arrange that by email or please call Kristy Marie at 218-591-8304. Here is a list of some of the many quality local businesses and groups that Kristy Marie has collaborated with on healing projects, and refers clients to. She has this amazing way of listening to where your body needs attention and knows just how much pressure to apply and what technique to use. Other massage therapists I have seen over the years haven’t even come close to how great my experience was with Kristy. Whether you are new to massage and wondering about how it can benefit your life, or you are looking for someone new to try, call Kristy Marie and let her hands speak for themselves!" When chronic pain or states of imbalance flare up, she is the first person I think of to call. With her skillfull hands and intuitive spirit, she has shown my whole being the way to strength and vibrancy. Thank you Kristy Marie!" I had been experiencing some tightness in my central back that was becoming a daily distraction. Kristy did a phenomenal job taking the time with me prior to the massage to understand my lifestyle, nutrients consumed, and problem areas. I have never had a massage that helped me understand how everything ties together quite like this. Kristy is truly an artist at her craft, and should be utilized by all downtown professionals. My body and mind have been dramatically improved since my 1 hour massage with Kristy!" "Kristy Marie is a very skilled massage therapist. I have never experienced a massage as therapeutic and thorough." She masterfully creates a safe and tranquil space where I can simply let go and allow her to access my deepest areas of tension. My confidence in Kristy’s unique style has greatly increased since I’ve started seeing her for prenatal massage. Whenever I am in Kristy’s care, she focuses all of her energy on healing my body and especially targets those areas that are most affected by my pregnancy. I always feel brand new after our appointments and I have grown to trust Kristy 100% with my body. I am grateful to be able to call her my healer, guardian and sister!!"